Human rights defender Ebtisam al-Saegh’s car burns outside her home in the early hours of 15 May. 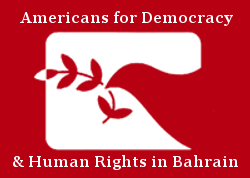 16 May 2017 – In recent weeks, the Government of Bahrain has substantially escalated its campaign of reprisals against the country’s civil and political societies. So far in the month of May 2017, authorities have targeted family members of exiled human rights defenders and turned a blind eye to the violent intimidation of Bahraini activists and political figures. We in the Bahrain human rights community are deeply disturbed by these acts of reprisal by the government and its perpetuation of a culture of impunity for such abuses. We vehemently condemn these reprisals and call on the government to discontinue these acts immediately. Lastly, we call on the government to allow for international experts to investigate these cases. Civil and political society leaders have been subject to a pattern of intimidation, as unknown actors have vandalized and destroyed their property with apparent impunity. 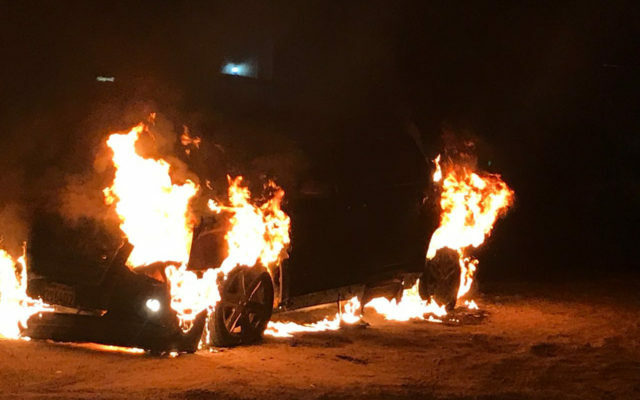 On 4 May, Salman al-Mahfoodh, former General Secretary of the General Federation of Bahrain Trade Unions, had his windshield smashed and another car burned by unknown agents outside his home. Similarly, on 7 May, the car of Khalil al-Marzooq, former Deputy Secretary General of the now-dissolved al-Wefaq political society, caught fire at dawn outside his home. The fire was attributed to an “electrical short circuit.” Human rights defender Ebtisam al-Saegh was also subject to intimidation. On 12 May, government-backed newspaper Al Ayam ran a front-page story accusing human rights defender Ebtisam al-Saegh of fabricating documentation of rights violations. Days later, at dawn on 15 May, al-Saegh’s car was incinerated in a fire. The Ministry of Interior released a statement on Twitter indicating that the fire was, again, the result of a “short circuit.” The pattern of car fires points to targeted, planned acts of intimidation against members of Bahrain’s independent civil society. Moreover, the Ministry of Interior’s dismissal of possible arson cases exhibits a culture of impunity. Meanwhile, activists outside Bahrain have also come under increasing pressure. Over the weekend, Bahrain’s King Hamad traveled to the United Kingdom for the Royal Windsor Horse Show, which Bahrain sponsors, and where activists also traveled to protest the king’s presence at the event. In response, the government targeted the Bahraini family members of activists. These activists, including Sayed Ahmed al-Wadaei, Director of Advocacy at the Bahrain Institute for Rights and Democracy, had immediate family members summoned to Muharraq police station. Once there, government security officers forced them to call the demonstrators in Britain to ask them to stop their protests. One activist whose family was targeted, Yousif al-Hoori, based in Berlin, did not even attend the protest, but merely voiced his support for the demonstration. The authorities summoned Yousif’s father and sister and reportedly forced them to tell Yousif that if he did not apologize to Bahrain’s king, they would not be released. The reprisals and threats facing activists and their families around the Royal Windsor Horse Show came just days after NGOs wrote to the organizers of the event, HPower Group and Buckingham Palace, calling on them to sever ties with the Kingdom of Bahrain due to the escalation of human rights abuses. Sayed Alwadaei’s brother-in-law Nazar Sayed Namaa Alwadaei and mother-in-law Hajar Mansoor Hassan have been detained since March 2017 and subjected to torture and fabricated charges in an attempt to blackmail him. Nazar Alwadaei faces trial on 21 May and 22 May; Hajar Mansoor Hassan faces trial on 22 May. These acts of reprisal are not new in Bahrain. Over the past year, civil and political societies have faced rising pressure. Arbitrary travel bans restricted independent Bahraini activists from taking part in the 32nd and 33rd sessions of the UN Human Rights Council in 2016, and from attending Bahrain’s third cycle Universal Periodic Review in Geneva. In May, the government imposed travel bans on over thirty members of independent political and civil society, often accompanied by arbitrary charges of participating in “illegal gatherings.” During the 34th Session of the HRC in March 2017, family members of activists attending the HRC were arbitrarily arrested, tortured and mistreated to coerce false confessions on unfounded charges. These also included relatives of Sayed Ahmed Alwadaei and Ebtisam al-Saegh. Impunity for acts of vandalism and intimidation targeting civil society actors is also not unprecedented in Bahrain. In a prominent case that occurred in 2012, looters were caught on camera destroying a shop owned by a Shia proprietor while security forces appeared to stand by without preventing damage to the shop or arresting the perpetrators. These recent acts of reprisals also appear to be the latest brazen challenge to the international community, and to Bahrain’s key allies in terms of human rights credibility. By targeting activists and their family members for peacefully protesting in the United Kingdom, a key Western ally for Bahrain, the kingdom is actively testing the limits of its international partnerships if they can withstand such flagrant abuses. The UK has thus far continued to support Bahrain with an unconditional package of technical assistance, at a cost of over £5m to British tax payers. NGOs have called for the suspension of the assistance due to a lack of substantive results. In the United States, Donald Trump is set to make his first international trip as President of the United States to the Arab Gulf region, as the U.S. Senate prepares to consider a major arms package to Bahrain without the human rights conditions of the previous administration. If these allies turn a blind eye to such blatant human rights violations or, worse yet, reward the kingdom with an unconditional arms package, it could have devastating consequences for the future stability of the kingdom. We, therefore, call on the Government of Bahrain to cease all forms of reprisal against Bahraini civil and political societies and activists, and to release all prisoners held in relation to their peaceful expression of their universal human rights. We also call on the international community to press Bahrain to allow independent international human rights experts to carry out investigations into these and other cases of harassment or reprisal.